Why it matters: Flying is still the fastest way of traveling the world. Supersonic commercial airliners could drastically shorten trips, bringing many new business and travel opportunities. Although supersonic flight has been possible for decades, noise has always been a significant problem up until now. 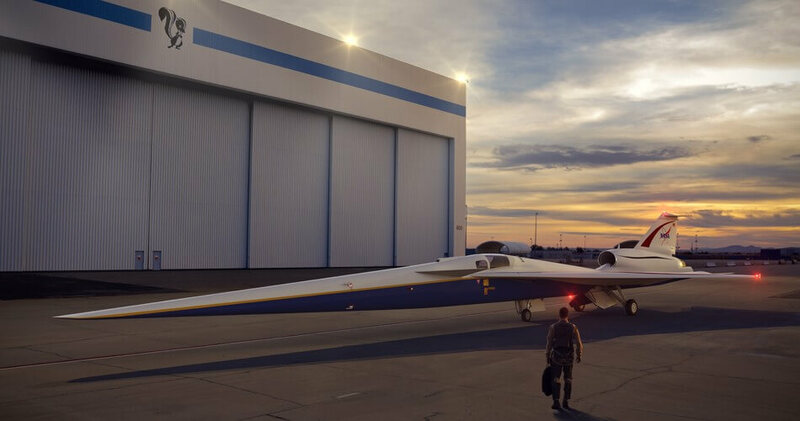 Earlier this year, Lockheed Martin Aeronautics Company was awarded a $247.5 million contract to build a quiet aircraft capable of supersonic flight. NASA has been working closely with the contractor on research efforts and will now bringing several experiments directly to the general public. Currently, tests are ongoing over NASA-controlled locations by performing special maneuvers in the F/A-18. Staff and volunteers are observing and describing the experiences of supersonic shockwaves when the F/A-18 is put into a steep dive and then pulls back up after reaching Mach 1.1. As a result of diving at supersonic speeds, the fighter generates two sonic booms. The pair of shockwaves are concentrated downward over the test area and dissipate in front of the aircraft. As distance increases, the sonic booms are diminished to little more than soft thumps that may be unnoticeable without a trained ear. Later this year in November, NASA will be flying F/A-18 fighter jets over Galveston, Texas and performing the dive maneuver to expose the city to the soft thumps of forward dissipating sonic booms. Over 500 residents will be asked to provide feedback on what they hear, if anything at all, and to describe any discomforts experienced. NASA's researchers and Lockheed Martin's engineers are seeking to exploit the properties of how sound waves combine and dissipate to produce an experimental plane that can quietly go supersonic. The X-59 will still produce multiple shockwaves, but instead of pairing together and forming a more concentrated sound, the waves will remain separate and be diminished faster. Feedback from residents will be poured into the design of X-59 that could start its first test flights in 2021. Flights of the X-59 over inhabited areas will not start until at least 2023. Continued efforts to develop quiet supersonic flight could lead to commercial air travel at higher speeds than ever before. The current ban on supersonic flight over land is already being reviewed with new proposed rules from the FAA arriving in 2019 that could allow commercial aircraft meeting noise requirements to break Mach 1.